Christopher Francis is an intellectual property attorney specializing in preparing and prosecuting U.S. and foreign patent applications as well as counseling clients on a full spectrum of intellectual property matters. Chris advises clients on strategically building and maintaining patent and trademark portfolios based on client product lines and business plans. 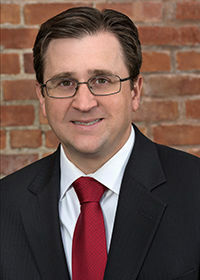 Chris has prepared and prosecuted mechanical and electrical patent applications in numerous technologies and industries including a wide variety of automotive technologies (including autonomous hardware and operation, passive safety systems, body structures, HVAC components, and seating), medical devices, CCD and CMOS image sensors, military vehicle components, and archery equipment. Chris also counsels clients on patent issues including freedom to operate investigations, infringement and validity opinions, and designing products around patents owned by competitors. He also assists clients with intellectual property due diligence investigations during mergers and acquisitions. Prior to Bejin Bieneman, Chris was a partner in the intellectual property department of a large metro-Detroit general practice law firm, where he gained experience in marrying client's business needs and intellectual property needs. Chris is a graduate of Wayne State University Law School (J.D., 2006) and Michigan State University College of Engineering (B.S., Mechanical Engineering, 2002). Prior to his legal career, Chris was an engineer at General Motors. Chris has been active for several years with the Michigan Intellectual Property Law Association (MIPLA) and is a past President (2014-15) of the organization. Chris is the principal author on The Claims Interpreted Report, a blog focusing on recent outcomes regarding claim interpretations in ex partes appeals, inter partes reviews, district court Markman hearings, and decisions by the Court of Appeals for the Federal Circuit. The Claims Interpreted Report is found at https://www.claimsinterpreted.com.